I found these curtains at Target in the clearance section. They are not perfect, but they look nice in the room. 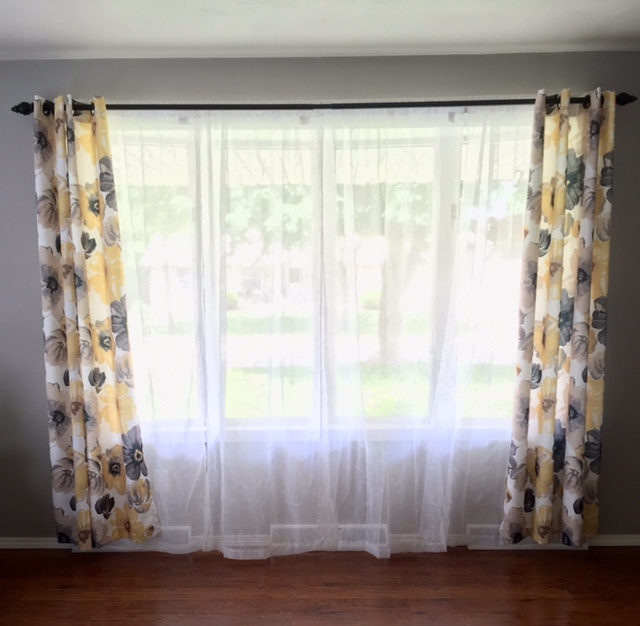 After buying and returning literally five sets of curtains, I was so happy to find some that look decent. 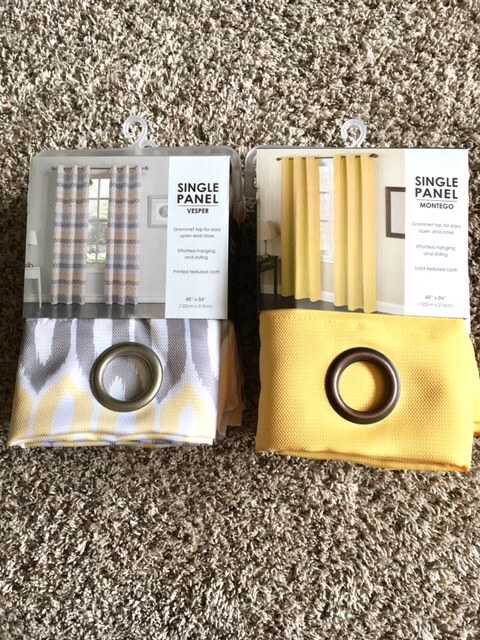 I found these at Shopko and the solid yellow will be hung on the other window in the front room and the gray and yellow set will be hung in my dining room. I will post pictures once I get them up. They were only seven something each panel! One of my dear friends is moving this month and I am really sad about it. I thought a long time about a gift that would have meaning for her. 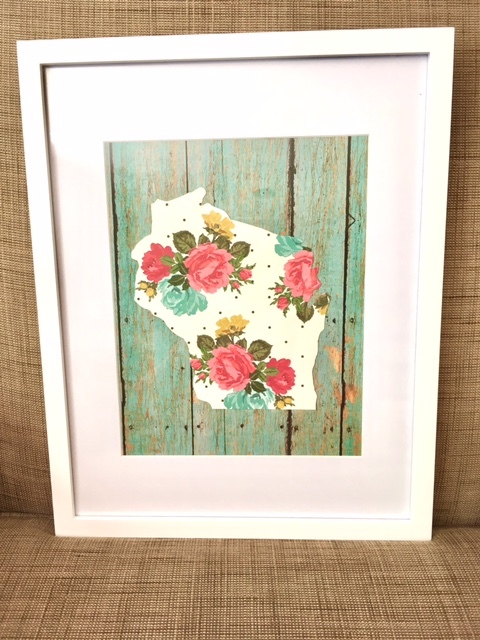 I decided to make something that will remind her of her time in Wisconsin by cutting out a silhouette of the state. I gave it to her last night and she seemed to like it. With my sister in town for the last ten days, I did not get more done in the basement, but today I arranged for a babysitter to come watch the girls every Monday, and I am very excited because it will mean I have four un-interrupted hours to do projects around the house and to work on my blog. Cody has been very understanding about me wanting to have childcare while I get some of my personal projects done, and I have finally found someone that can watch the girls. Life gets so hectic, and I know having some time carved out for me will help my productivity and my spirits. Now I just need to get more organized so that everything goes smoothly for the babysitter. I actually love this new motivation to be more efficient! Hope all is well with you! Have a lovely Friday!